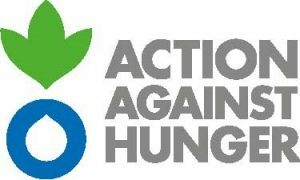 5th September 2017 // Action Against Hunger has joined forces with top restaurants in Cardiff, calling on diners to help raise funds to help children around the world to survive, by doing what they do best – dining out. During September and October 2017, and joining hundreds of restaurants across the nation, Cardiff restaurants including Mezza Luna, Asador 44 and Hogwurst will support Action Against Hunger by giving customers the opportunity to add a small donation to their bill or offering certain dishes where a percentage of the cost goes to Action Against Hunger’s Healthy Mums Healthy Kids appeal. 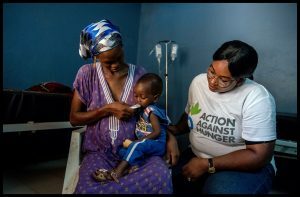 What’s more, UK aid, from the Department for International Development, will match every penny raised by the British public in the appeal, helping Action Against Hunger to eradicate life-threatening malnutrition from Matam, a province in north-eastern Senegal. Matthew White, Director of Fundraising and Communications at Action Against Hunger, said: “Many children in Matam suffer from life-threatening malnutrition. 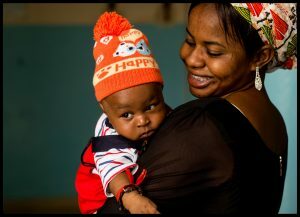 Our Healthy Mums Healthy Kids appeal aims to provide young mums in Senegal with good nutrition and support so their children can have a healthy start in life. “Malnutrition has a devastating and long-lasting impact on people’s lives. It damages the growth and development of children – trapping families further into a cycle of grinding poverty. “Sadly, children and women suffer most; they often eat last at meal time, missing out on the most nutritious food. “UK aid will match the generosity of the British public and double the money donated to Action Against Hunger’s appeal to help save vulnerable children and their mothers in Senegal so they can go on to grow to their full, healthy potential”. Diners will also have the fantastic chance to win dinner for two at a top restaurant every month for a year by following @ACF_UK on Twitter or Instagram and sharing a photo of the restaurant they are dining at with the hashtag #LoveFoodGiveFood. If you want to get even more involved in the appeal, there is also the option of hosting a dinner party in your own home in aid of Action Against Hunger in September and October. Whether a proven host with the most or a complete novice, there is a wealth of information available on the Action Against Hunger website with all the tips and recipe inspiration necessary to make any dinner party a success. With every single Pound raised doubled by the UK Government, the public’s support can go even further in helping mums learn how to provide the care and nutrition their children need so that their children can grow up strong. For more information on everything that’s going on this autumn, including how you can get involved, visit actionagainsthunger.org.uk.